This quote inspires me that no matter who it is, I am completely free to love them like Jesus. It doesn’t matter if they’re different or a little bit “weird”. Maybe they’re hurting too. That’s when loving like Jesus makes all the difference. 🙂 The lettering didn’t urn out perfect, but hey, isn’t that a bit more authentic? The arrows added a cool little flair too. Very modern. God is my hope. That’s that. Anything in the way doesn’t have a chance! I matched the theme of the previous one here. They would work great as side-by-side wall decor. AND, I know this is random and off topic, but I just had to share this eye that I drew recently. It was late at night and I couldn’t go to sleep before I drew it. Not any particular eye, just one that my imagination conjured up. Just some scribbles. That concludes my May art adventures. Some months are definitely more inspiring than others, so learning to follow the ebb and flow of the creative cycle is an artist’s key. You don’t have to create amazing things all the time. Sometimes it’s good to try something new and not pressure yourself too hard. What is your favorite creative outlet? I’d love to hear! 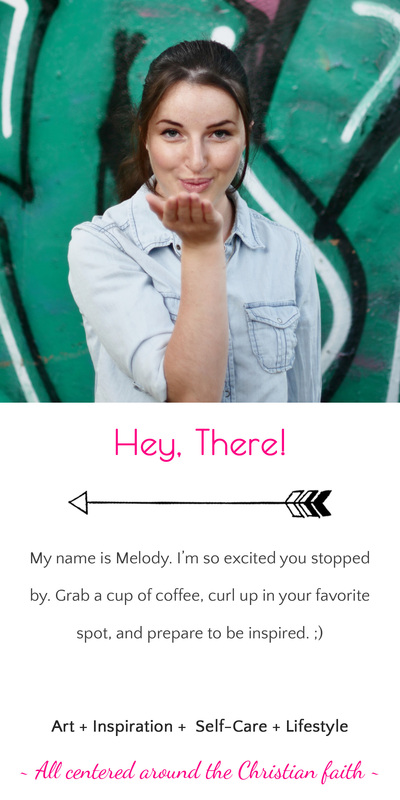 You are amazing, Melody! I love your talent and your heart to share God with others in so many different creative ways! Thank you! He’s my inspiration! Wow I love the quotes you chose to share, amazing job and amazing work!